I have the pleasure of fishing with anglers of all skill and experience levels. Each is fun in its own way. Today I enjoyed a wonderful morning with a skilled angler, celebrating her birthday by trying tenkara for the first time. All I can say is, Wow. She picked up the subtlety and technique of tenkara so quickly, we were dissecting every pocket and seam within the first 30 minutes. 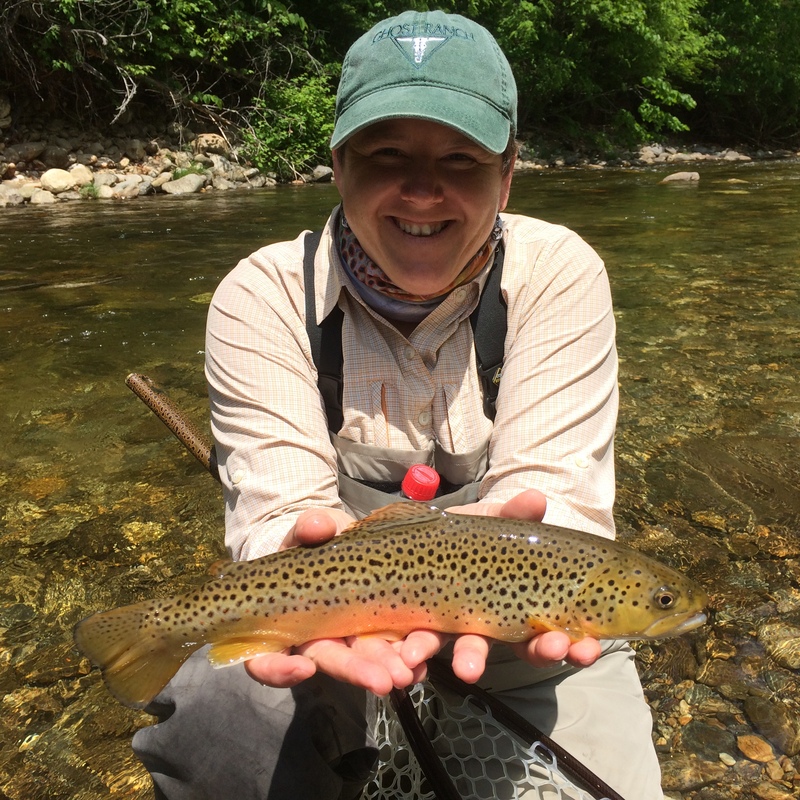 This handsome Brown trout showed up to the party when offered a beautifully presented dry fly. Now that’s icing on the cake!